As stated on two previous occasions (4 August and 29 October), the councilâ€™s General Overview and Scrutiny Committee will undertake a full and thorough review on the process through which Herefordshire Council and Hereford United Football Club (1939) Limited concluded the three leases and development agreement relating to the Edgar Street ground after all pending legal action against the club has been concluded. For the avoidance of doubt, Herefordshire Council neither runs nor owns Hereford United Football Club (1939) Limited. Herefordshire Council can confirm that on Friday 7 November, steps were taken to conclude the legal action taken against Hereford United Football Club (1939) Limited on Friday 24 October for non-payment of rent. The council will continue to monitor the clubâ€™s compliance with its obligations in the leases and will consider taking action to enforce any breach. As previously stated, Councillor Sebastian Bowen chairman of the councilâ€™s General Overview and Scrutiny Committee has confirmed that the committee will undertake a full and thorough review of the process through which Herefordshire Council and Hereford United Football Club (1939) Limited concluded the three leases and development agreement relating to the Edgar Street ground. This however will not take place until all pending legal actions against the club have concluded. Herefordshire Council has today (Tuesday 28 October) met with the Hereford United Supporters Trust and business representatives to discuss the groupâ€™s continued commitment to seeing football remain at Edgar Street in the event that the current club is wound up. There are minutes available from this meeting. Herefordshire Council today (Friday 24 October) issued proceedings in the county court against Hereford United (1939) Limited for forfeiture of the leases and repossession of the ground. These proceedings were subsequently served on HUFC directly. In response to this action, we can confirm that HUFC has paid outstanding sums due to the council. We are now consulting with our legal team and our rights are reserved. Herefordshire Council today (Thursday 23 October) attempted to take possession of the Edgar Street ground and related land from Hereford United Football Club (1939) Limited through peaceful re-entry for breach of three leases due to non-payment of rent. Council officers were unable to peacefully enter the premises as they were occupied by a club representative, so we are now taking legal action to gain possession. We had previously not pursued this course of action, as when we joined the winding up petition on 15 September, our insolvency advisors suggested that it was highly likely the club would be wound up on 20 October. However, in light of the further six week adjournment, we have decided to use other legal actions available to us as landlord. Herefordshire Council was represented at todayâ€™s High Court hearing in London along with the other creditors of Hereford United Football Club (1939) Limited. The court adjournment until Monday 1 December does not affect the councilâ€™s current position and we remain part of the winding up petition. As part of joining the winding up petition against Hereford United Football Club (1939) Limited, Herefordshire Council has to provide up to date financial figures relating to the amount owed by the club. The outstanding amount provided to the winding up order is just over Â£48,000. This includes rent and rates of nearly Â£36,000 and legal costs of over Â£12,000. Additional legal costs of the same amount will also be due next summer, which will take the total outstanding amount to approximately Â£60,000. In regards to the council statement issued on Monday 15 September, the council is yet to receive any communication from the club. Herefordshire Council has today (Monday 15 September) informed Hereford United Football Club (1939) Limited that it will be supporting the current winding up petition and seeking full recovery of all monies owed to it by the club. Both parties have previously stated their commitment to maintaining professional football at Edgar Street. Whilst the council very much hopes that football will continue, it must balance this wish with its responsibility to recover the outstanding monies. As such, subject to the position of other creditors, the council is happy to discuss deferring payment with the club (for a set period of time), if the council assumes responsibility for redevelopment of the ground and ends. If this is agreed, it would allow the club to focus on football. 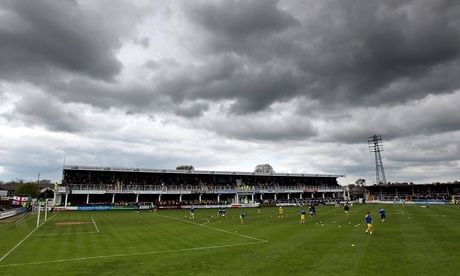 Herefordshire Council is a creditor of Hereford United Football Club (1939) Limited. During the recent attempt to set up a Company Voluntary Arrangement (CVA), the council was listed as one of the clubâ€™s creditors. The council took no part in the CVA, as it considered that other creditors were likely to be more affected by the outcome. Whilst the council is owed money by the football club, the amount would not affect the financial viability of the local authority. However, this might not be the case for smaller creditors, where the amount owed could be the difference between remaining in business or not. The council has not joined in the current legal proceedings by other creditors seeking the winding up of the club. If those proceedings are successful, the council will recover the same percentage of the debt owed as the other unsecured creditors. The council will continue to seek payment for the outstanding debt, which to date has not been settled. At the request of Jon Hale, a second meeting has taken place today (Tuesday 26 August) between Councillor Tony Johnson, representatives from Jon Hale's business group and the Hereford Unitedâ€™s Supporters Trust. Whilst the meeting discussed the groupâ€™s proposed business plan, it must be stressed that the council is not actively looking for a new tenant at this time as we already have a tenant in place. In the event that our current tenant is unable to continue operating, the council would need to go through a due process before making any confirmed decision on the future of the ground and its leases. However, it is encouraging to know that there are options available, which would see football remain at Edgar Street. The council and emergency services, acting in a Safety Advisory Group capacity, have again met with HUFC representatives to discuss the clubâ€™s general safety certificate. The council can confirm that whilst the club has met a number of statutory requirements surrounding spectator safety at Edgar Street, which will allow the first home game to go ahead on Saturday 9 August, there are certain stipulations attached to the certificate. The club will only currently be allowed to play football matches in front of 1,000 spectators using both the Merton Terrace and Merton Stand at Edgar Street, as opposed to a full capacity crowd, until all of the partner agencies involved are satisfied that any outstanding safety issues have been properly addressed. The council and emergency services, acting in a Safety Advisory Group capacity, have today met with HUFC representatives to discuss the clubâ€™s general safety certificate, which is issued by the council to ensure spectator safety at the ground. Unfortunately, the council, police and fire service are not satisfied that all of the necessary statutory requirements have been met or that all of the relevant paperwork is in place. Therefore at this stage, we are still unable to authorise the clubâ€™s safety certificate. However, we are working closely with the clubâ€™s newly appointed safety consultants as well as club representatives, in order to try and resolve the outstanding issues. A further special Safety Advisory Group meeting has been provisionally set for the afternoon of Thursday 7 August and a final resolution will follow this meeting. Councillor Sebastian Bowen, chairman of Herefordshire Councilâ€™s General Overview and Scrutiny Committee has today commented on suggestions that the councilâ€™s scrutiny committee should look into matters surrounding Hereford United Football Club. The council has not made any decision on the HUFC leases and will not do so before discussions with the owner. We have issued a key decision notice today to ensure that as and when a decision is required, there will be no unnecessary delay. We can confirm that HUFC matches at Edgar Street will be postponed until further notice following safety certification talks. The council and emergency services, acting in a Safety Advisory Group capacity, have held two emergency meetings with club representatives this week to discuss the clubâ€™s general safety certificate, which is issued by the council to ensure spectator safety at the ground. The meetings were primarily to discuss the arrangements in place to ensure compliance with the safety certificate, in light of recent staff and ownership changes. Unfortunately, the council is not fully satisfied that the club can currently meet the requirements of the safety certificate and has therefore advised that no football matches are to be held in front of spectators at Edgar Street until this has been properly addressed. The council has agreed with HUFC that the Help for Heroes match on Sunday 6 July and the friendly match with Cardiff City Football Club on Saturday 12 July will be postponed. The Safety Advisory Group is working with the club to ensure that they can fully meet the requirements of their safety certificate to allow these fixtures to be reschedule as soon as possible. The council hopes to meet club representatives again next week along with colleagues from the emergency services to review the situation. "We wish to leave all leases for the club in the name of Hereford United Football Club (1939) Limited. We have paid all football creditors and been accepted in to the Premier Division of the Southern Football League." Herefordshire Councilâ€™s political group leaders met this afternoon and were given assurance from the councilâ€™s legal team, that the Edgar Street asset is protected by the robust terms and conditions of the lease to ensure continuity of its current use. The council is clear and agreed that no transfer of leases will take place without its prior consent. It must be stressed that no consent will be considered unless the tenant is a member of The Football Association. The leader of Herefordshire Council met with business representatives from Hereford Unitedâ€™s Supporters Trust yesterday (Tuesday 17 June), to discuss their proposals. The trust, which supports professional football in the county, is proposing to create a new supporter led football club for the whole community in the event that Hereford United Football Club goes into administration. The council was presented with a comprehensive business plan, which it agreed to consider if the current club does indeed go into administration. The council is being asked a lot of questions about its involvement with Hereford United Football Club. To help answer these, weâ€™ve developed a set of Frequently Asked Questions. 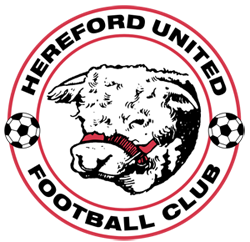 Herefordshire Council today (Monday 16 June 2014) met with the new owner of Hereford United Football Club to discuss the future of the club. The meeting was specifically to gather information about the ownerâ€™s plans and timescales, which may require subsequent consideration by the councilâ€™s legal team and councillors. The leader of the council, Councillor Tony Johnson will be meeting with all political group leaders as appropriate to ensure full involvement. HUFC currently owes the council in the region of Â£65,000 in rent arrears, business rates and legal fees and the council has been assured by the new owners that all outstanding monies will be fully re-paid. We have asked for this assurance in writing and the owners have agreed to make a written undertaking to this effect. The leader of the council, Councillor Tony Johnson is due to meet the new owners on Monday to seek further reassurances. The new owners have also asked the council to consider assigning the two stand leases to a company within their ownership. The councilâ€™s legal team is currently assessing the request and would go through a process of robust due diligence, which would include the new owners proving their financial standing, prior to any assignment being considered. Herefordshire Council is very sorry to hear the news about Hereford United Football Club; it is a significant blow to the city and to the county as a whole. We are committed to ensuring that Edgar Street continues to be available as a home for football. We have recently renegotiated all of the leases, which continue to be held by the club, to ensure that money generated from redevelopment opportunities at the ground will be invested back into the facilities. We remain open to discussions with any potential investors who, like us, wish to see football remain at Edgar Street. Hereford United, the bullish football club forever loved for their gleeful 1972 FA Cup giant-killing of Newcastle United, face a winding up petition on Monday that could bring 90 years of longevity to a sad collapse. In financial difficulties for two years before relegation from the Conference to the Southern League this summer for a refusal to pay a Â£350,000 bond, it will the latest hearing for a petition first issued in April for money owed to the former manager Martin Foyle. That is not a perspective shared by many around Edgar Street, the clubâ€™s home since it was founded by a merger in 1924, where matches are now being shunned by many fans and the mood is disconsolate, rancorous and, increasingly, toxic. At the end of May, Keyte ceded ownership of the club for Â£2 to Tommy Agombar, described as an entrepreneur and developer, from east London. Supporters, who have forensically researched their new owners in ways that were beyond fansâ€™ groups in the pre-internet age, swiftly discovered Agombar had a past conviction for lorry theft and had served time in prison. That made him not â€œfit and properâ€ to own or be a director of a football club under the Football Association rules, and according to a speech in parliament by the local Conservative MP, Jesse Norman, Agombarâ€™s son, Tommy jr, who was banned by the Essex FA, and Philip Gambrill, who had been subject to personal insolvency proceedings, were similarly prohibited from being directors. Ownership passed to Alpha Finance, described as dealers in â€œdistressed debtâ€. Stepping in as a director, and currently the most public face of the club, came Andrew Lonsdale, a friend and advisor of Agombarâ€™s. In a long interview with the Observer, Lonsdale acknowledged that the information the fans found out about him is also correct. Although he insists he and his partners have taken over Hereford because of the clubâ€™s heritage and potential and that they believe they can revive it, his record has only fed fansâ€™ bleakest nightmares. Feltham moved out, with the intention to build a new stadium on the site, and Lonsdale, whose company was to carry out works, was given permission to import 15,692mÂ³ of soil on to the ground. After years in which a procession of lorries dumped rubble to the bitter complaints of neighbours, the London borough of Hounslow mounted an investigation. Its task force found that 73,485mÂ³ of soil and rubble had been dumped, five times more than permitted. The council report said Lonsdale had â€œa clear conflict of interestâ€ between his position at the club and his involvement in the company paid to do the work. They did not rule out that Lonsdale had made significant money from his company being paid by other construction firms to dump their excavated waste, although Lonsdale maintains that the delays and other costs meant he lost money on the saga. No new stadium was built, and the site stood as a derelict dumping ground for years, with the club merged with Bedfont. The volume of rancour increased this week with the public airing of threatening and abusive voicemails left on the telephone of a supporter who had texted a rude message. Lonsdale accepted the voicemails were from an associate of theirs who, he said, is no longer involved, but emphatically insisted it was not Agombar. The messages were â€œdisgraceful,â€ Lonsdale accepted, saying he did not condone them, but argued that he, Agombar and their partners are being subjected to an excessive level of abuse and suspicion on some messageboards. Lonsdale says they have invested a significant sum and are seeking to raise more to fend off the petition because they believe they can restore Hereford to the Football League, partly by identifying promising players who can be sold on. â€œWe are being painted as the bad guys,â€ he said, â€œbut we took the club over for Â£2, immediately faced a winding up petition, and have put a small fortune into the club to keep it going. Martin Watson, the vice-chair of HUST and a lifelong fan who has put money into the club in the past, said there is too little trust in the owners and if the club goes bust, the trust hopes to be involved in resurrecting it, still playing at Edgar Street. â€œMany supporters believe the club died at the end of last season. They donâ€™t recognise this seasonâ€™s Hereford United as the one they followed,â€ he said. All of which is a world of heartbreak from Ronnie Radfordâ€™s 35-yard screamer against Newcastle in 1972, and the pitch invasion by hordes of ecstatic boys in parkas that, for 42 years, has always brought a smile to the faces of football lovers. The council still stand as a creditor in the winding up proceedings and await the outcome at the next hearing as do the other creditors. We will continue to press for settlement of all sums owed to us. We updated the FAQs to reflect the amount HUFC now owes the council. This relates to payments made on 24 October 2014 and reported below, we hadn't updated the FAQs at that point to reflect the change.